I have the opportunity to try out products for Discount School Supply on a regular basis. I was trying out some blocks a year ago and I was getting frustrated by my lack of imagination in creating something with the blocks. 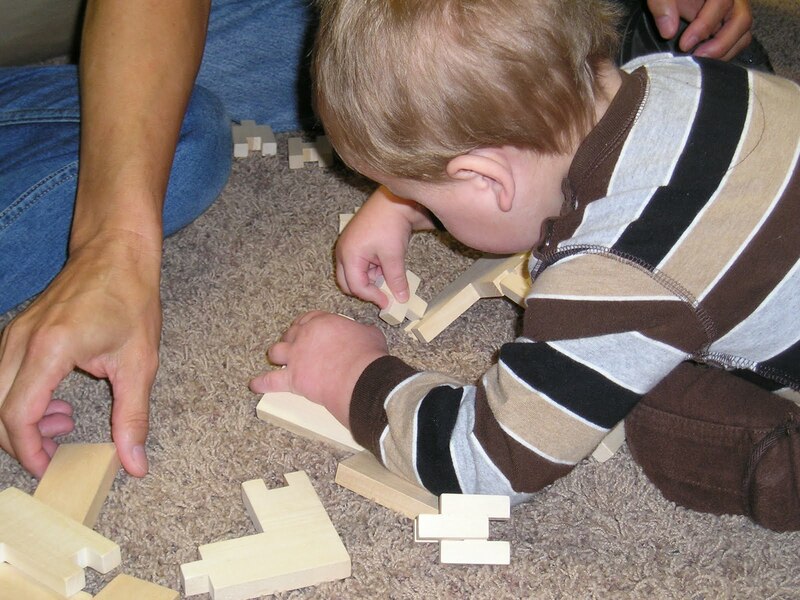 I gave the blocks to my grandson who was almost 3 at the time. He immediately set to work putting the blocks together. 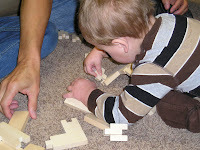 He was enthralled with the blocks for what I consider a very long time for someone who is 3. He loved them. When I was working with the blocks earlier, I was questioning how valuable they would be for preschool children. My grandson taught me a great lesson. Children know what is best for them. If given a choice, children will play all day. That is what they do. It becomes essential for those of us who work with young children to create opportunities for play. Almost every early childhood skill can be reinforced using play. Since children instinctively want to play, that should be our first clue about appropriate approaches to teaching children. It is through open-ended play the children learn to solve problems, explore the world and make decisions. A number of years ago, I had the opportunity to live in Ireland for a period of time. Having that first-hand knowledge comes in handy at this time of year. When I was a classroom teacher, I always made a big deal about St. Patrick's Day. I used it as an opportunity to introduce the children to the country of Ireland and a little information about the Irish culture. Playing on the spoof of the leprechaun made the activities fun and adventurous. We would go on a Leprechaun Hunt or leave little goodies out for the little guy. In later years, I have seen my grandchildren build leprechaun traps to try to catch the perpetrator who was turning their milk green in the fridge. 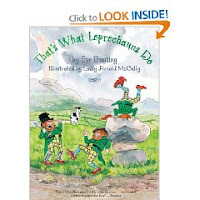 I have always looked upon the tall tales of leprechauns as a folktale and true fantasy stemming from the Irish culture. Studies have been done that indicate that children build great foundations from folktales. In fact, folktales and fairytales provide an example of complete fantasy for young children. With virtual reality appearing in games and movies, it is difficult for young children to differentiate between fact and fiction. Folktales provide an opportunity for children to experience something that is complete fantasy. Folktales have no pretence of being real. So, set up your leprechaun traps and see what happens to the young children around you! Let's See...Start with the Sun! I was talking to my favorite 5 year-old last week about the projects she creates. I asked her, "How do you know what to make or draw?" Her answer surprised me very much. She said to me, "First you have to start with the sun." When I asked why she started with the sun, she stated it was because it was going to be a 'happy picture' (duh!) Wow, what a life lesson. Anything can be accomplished if you start with a sun. Sometimes it is a bit depressing at this time of year when we are waiting for the spring sun to start shining. My little Kaylee was telling me that sometimes we have to make our own shiny sky. If you begin with the sun, then everything following can be a happier picture. I saw an old friend of mine this morning at the gym. He always has a smile on his face and the room just seems a little brighter when he is around. I realized he was my sun this morning and it really was like the sun starting out my day. I thought of Kaylee's advice and realized how much joy we can bring to those around us if we just 'start with the sun.' That is exactly how I felt when I was a kindergarten teacher. I guess the day is REALLY sunny with 24 suns!